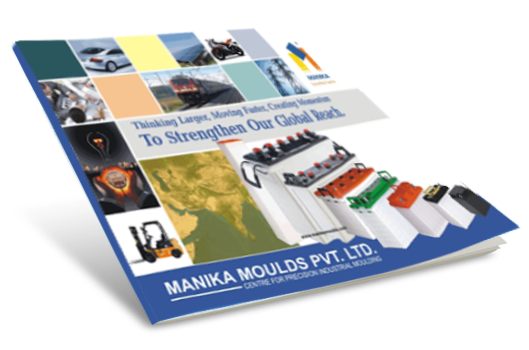 Management Team | Manika Moulds Pvt. Ltd. The visionary and strategist Chairman lay the very foundation of Manika by his foresight, planning and meticulous financial discipline. Focused not only on performance and controls, but also on people and goals, he has created leaders who now lead Manika to greater heights. A graduate in Plastic Technology he heads Finance, Strategy and Business development. A fire brand leader charges up people with his high energy and charisma. He has spearheaded the growth of the company from single machine operation to a multi location, multi product manufacturing organization, and now the largest in the country in its product segment. Mr. Mihir Kapadia, a B.E. in Production Engineering and a post graduate in Plastics Technology, he heads the operations of all plants. His passion for systems & processes and eye for detail has ensured high efficiency in operations and greater throughput. He has been instrumental in conceptualization and implementation of new projects, as well as strategic product design and development. A post graduate in plastic technology Mr. Pratik spearheads Marketing division of Manika. He has developed new markets for the company in India and Abroad and personally holds key Customer accounts.